The rise and rise of eighth mile sprint racing in Europe has proved a real goldmine for those of us interested in custom drag bikes. Shops from all across Germany, Switzerland, France and Italy are now feverishly building bigger and better bikes while drafting increasingly skilled riders to see if they can’t make it to the top of this new league. One such hive of speed is South German shop Kraftstoffschmiede, owned and run by Philipp Ludwig. 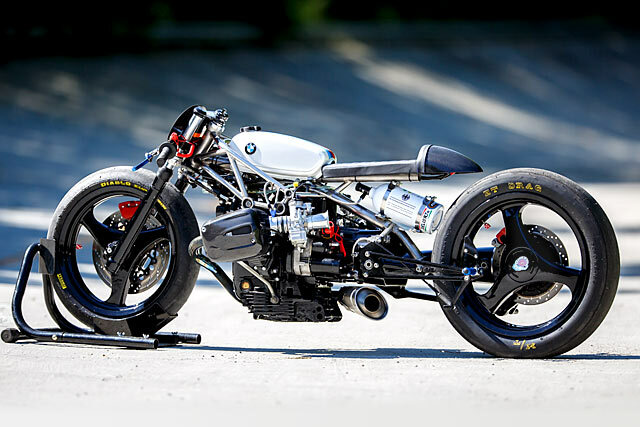 And this lower-than-low Beemer beast is his latest masterful creation.